Many girls consider their hair as their best friend. But imperfect hair can turn your best days into your worst nightmares. Your hair-do plays an important role in your entire appearance. Perfectly done hair can enhance your appearance. 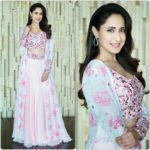 Long length hair can be left open or tied as a long ponytail, but with medium length hair, the above two options aren’t feasible as people will find your hair length short. 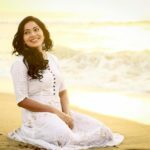 But medium length hair is very versatile as you can try many ideal and amazing hairstyles with your medium length hair. 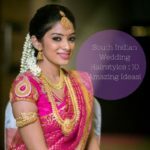 It isn’t always possible to go to a parlour do get a perfectly done hairstyle for some event, date or family function. 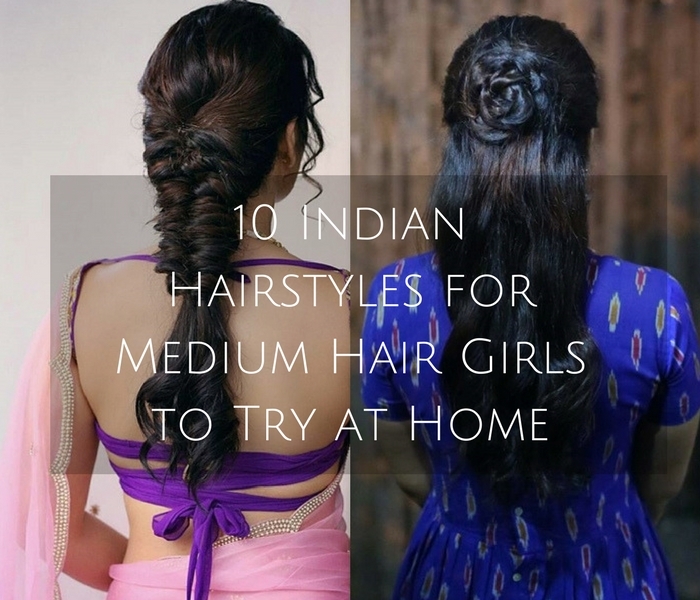 So here are 10 amazing DIY Indian hairstyles for medium length hair. Messy side braids are one of the easiest hairstyles for medium length hair. They not only make you look sleek and sensuous but also add a carefree look. Try to keep the upper hair messy and then part your lower hair sideways into 3 parts, making a loose braid. Tightly secure the braid with a rubber band so that it stays intact. Knotty ponytails are very chic and are currently in fashion. You have to take your whole bottom hair and according to the length of the hair do two or three tight braids. Make sure the braids start from your one side and end on the neck of the other side of your head. Then you can tie the pony with a pin or rubber band and leave the rest of the hair in a side ponytail manner. Wavy hairs were part of the retro era and have recently had a comeback in the fashion trends. Wavy hairstyle is best for medium length hair as the short length of the hair makes the curls stay longer. You have first comb your hair properly and part the hair into 3 to 4 parts with hairclips. Then take a straightener or if you have an iron curler, and start curling the separated strands of hair on the iron pin of the curler or straightener. Repeat the process respectively on every parted strand, till you get perfect wavy curls. Stop the process when your hair becomes wavy. Then spray your hair with some hairspray so that, the waves and curls stay for a long time. Normally braiding your hair into different styles isn’t possible if you have medium length hair. But dutch braid breaks that myth as this type of style can be easily done in medium length hair, making your hair look really beautiful. You have to start the braid from the upper portion of your hair. First separate the hair into three parts and then make a regular braid in the left, centre and right pattern. Include your complete hair, including the root of the hair in the braids. If you have any strand of hair that isn’t fitting in the braid, just use a clip to keep the hair intact. Headband braid hairstyle defines elegance and can be done with any outfit and for any event. Take the hair from the middle and separate it into two parts. You can start from the left or right side, take a thick bunch of hair and start braiding it in the regular manner and secure it on the top of the head with a pin. Do the same with the opposite side of hair. Make sure the two braids meet at the top of the head. You can tie the rest of your hair into a bun or ponytail. 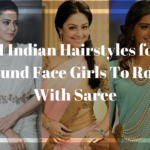 This hairstyle can give you a sleek retro look and is the perfect style to do, when you are wearing traditional attires such as saree, lehenga or salwar kameez. Curls make the hair look bouncy and silky. First take a curling iron and start curling every strand of hair from the top of the head. Repeat the process till your hair looks extremely wavy. Then take half of the hair and pin it in the crown portion and take the other lower half of hair and pin it in the neck portion to make it look like a ponytail. Crown braids act like a floral band resting in the middle portion of the head. After doing a crown braid, you can simply leave your hair free. Divide your hair from the middle, take one a thick strand from the right side and make a thick braid. Do the same with the left side. Take both the braids behind the head and pin the braids in a criss-cross manner. The half bun style is a new style in the fashion market. You have to do side parting of your hair, then take the complete bunch of hair from the crown and make a big bun. Secure the bun with a rubber band and then leave the rest of the hair in a straight and free manner. This style looks best with straight hair or slightly wavy hair and goes with every attire. Take a comb, have a side hair parting and form a ponytail just above your neck. Tightly secure the ponytail with pins and then leave your hair to fall on your shoulders. Hair puff style is an instant solution to all hair problems. You can take the whole bunch of hair from the tip of the head and make a high or small puff and then secure the puff with a hair pin. Then you can let your hair free or in a ponytail. All the above hairstyles are very easy and you can do it yourself at your home with an extra effort. Let us know if you have any other simple hairstyle that should be included on the list!